Bolivar, Missouri is a city in Polk County with a population of 10,325 in the 2010 census. Bolivar is located between Springfield and Kansas City on Highway 13. With a large selection of recreational lake areas and easy wildlife access, Bolivar is the ideal home for the budding outdoorsman. We also have a thriving business and manufacturing sector as Bolivar continues to quickly grow. Learn more about Bolivar, MO and why the Dan Holt team thinks it could be the perfect location for your next home. Bolivar was established in 1835 by the Polk County Court and was subsequently designated at the county seat. Bolivar was developed along the Overland Stage trail as a travel stop for it’s close location to Keeling Spring. Settlers Ezekiel Polk and Thomas Hardeman and their families traveled from southwestern Tennessee to the area that would later become Bolivar. Ezekiel Polk’s grandsons proposed the name Bolivar as a tribute to their father who was from Bolivar, Tennessee. One of the great aspects of living in Bolivar is their excellent school system. 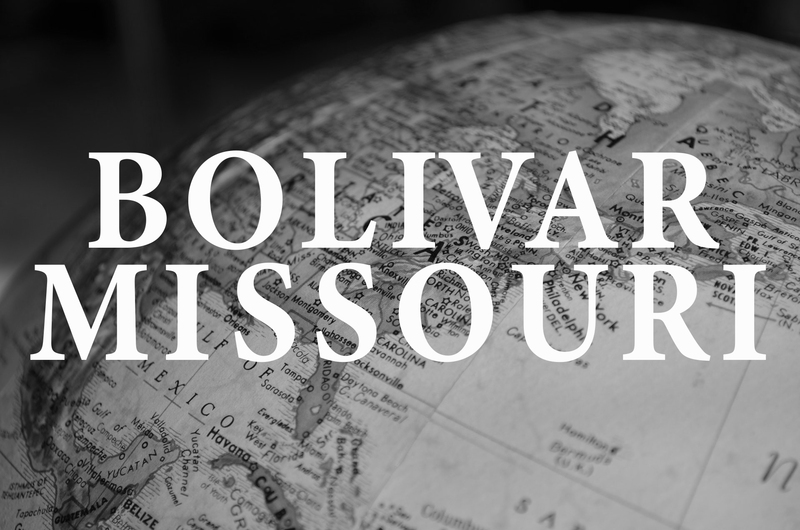 Bolivar High School ranked higher than state averages in both Math and English and was recognized in Missouri High School and National Rankings in the US News Report. In addition to their excellent high school, Bolivar is also home to Southwest Baptist University. There is a reason that the Dan Holt team has been so successful partnering with our clients in the Bolivar area. Bolivar, Missouri offers the benefits of a bustling metropolis, situated between Springfield and Kansas City. At the same time, you get the peace and serenity that comes with living in a rural setting. The friendly community consists of people from all walks of life and would make a welcoming home for any new family. The Dan Holt team has years of experience buying and selling homes and properties in the Bolivar area. If you are interested in joining the Bolivar community partnering up with the Dan Holt team to find your next home is the best decision you can make. If you are interested in learning more or simply have additional questions, give us a call at 417-447-2782 or send us an email at thedanholtteam@gmail.com. We look forward to working with you to ensure your dream home becomes a reality. Click here to view homes available in Bolivar.